Can I still distribute promotional calendars after GDPR? Yes, absolutely, you just have to make sure that you are doing it in a way that conforms to GDPR rules! For many businesses, the most suitable lawful option to use for mailing calendars is ‘Legitimate Interest’. Legitimate Interest is a legal ground on which businesses can process the personal data of their existing audience. Once legitimate interest is established and proven, marketing activities can continue, as long as the recipients have been allowed to opt-out of these activities. This approach requires that you carry out a simple Legitimate Interest Assessment. The key question is "would the recipient expect this?” if they could reasonably anticipate you using their data in the way that you have, it’s likely that your activity falls under legitimate interests. *Here is a blank Legitimate Interest Assessment with guidance notes, created by the Data Protection Network, which we have made into a PDF form, you can type into and save. Is there anything else I need to know about sending calendars? Any individual on your list, does have the legal right to opt-out of any direct marketing from you, including receiving a promotional calendar as a present (although it would seem rather ungrateful)! In the event that someone does ask you to stop marketing to them, you would need to keep a record of this, and ensure that you don’t send any marketing (or calendars) to them in future. It should also be made clear how to opt-out in any marketing or promotional communication you send. Why should I use promotional calendars? In addition to being long-lasting, cost-effective and highly visible in the workplace, the fact that they are posted (or given out) means that they are subject to less regulations than emails, especially if you have any sole traders or partnerships on your lists. 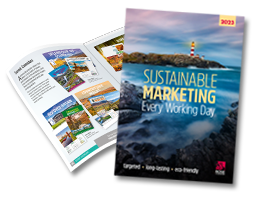 Attractive promotional calendars show your customers that you value them, which can also help with customer retention. Keeping your customers is really important when it’s now even more difficult to source new information and find new customers. *Please note that you may need to adapt the LIA outline in relation to your own organisation’s requirements, and we do not take responsibility for the compliance of the any resources provided or linked.